Ms. Becker is our Senior Vice President, Controller. Previously, she served as Vice President, Controller, from January 2016 to February 2019 and Controller from June 2015 to December 2015. In this role, Ms. Becker oversees Corporate Accounting and Property Accounting, including managing SEC reporting, SOX compliance, and monthly and quarterly consolidation. Ms. Becker has over 15 years of accounting experience including starting her career in Big 4 public accounting. She has more than 10 years of corporate controllership experience, and most recently spent over five years as Controller of Koss Corporation (NASDAQ: KOSS), where she was brought on to help to lead the company through a significant restatement following a financial fraud. 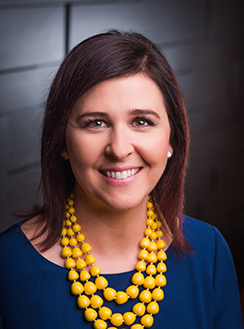 Ms. Becker earned her Executive MBA from Marquette University where she graduated Beta Gamma Sigma and received her BBA in accounting and risk management from the University of Wisconsin – Madison. Ms. Becker is a Certified Public Accountant (CPA) licensed in the State of Wisconsin.